There is ample parking surrounding Little Caesars Arena. Please use parkwhiz.com to reserve ahead a parking spot on your way to see us! Q-Line stop right at the front door! 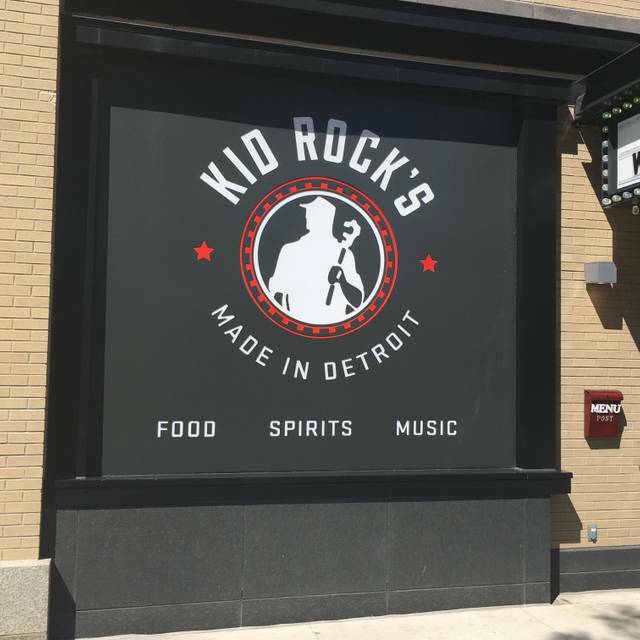 Kid Rock’s Made in Detroit restaurant is a reflection of one of Detroit’s most loyal and successful native sons. 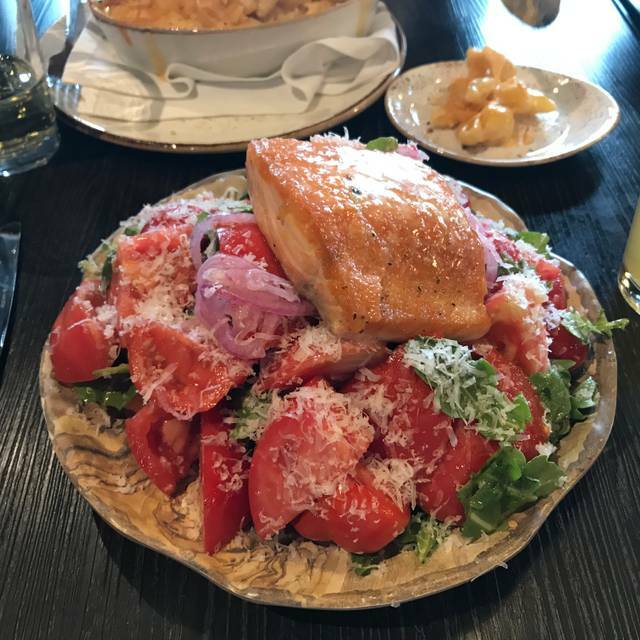 Our menu is a mix of classic Detroit and Southern-influenced dishes, along with traditional comfort foods and bar fare. Several dishes were developed from the Kid Rock family recipe book having been delivered and handwritten by Mrs. Ritchie herself. With an entrance off Woodward Avenue, you can come in for lunch or dinner seven days a week - or enjoy brunch Saturday & Sunday mornings. I was expecting it to be super busy because it was Easter brunch, it wasn’t and I was happy. There was a great selection of food, and plenty of it to go around. I would definitely go back. The Easter brunch was very good and presentation of food was great. I have to say though it wasn’t worth the $40 per person; therefore I would not return to the buffet for that price in the future. I would return to try other things though. We did Easter brunch there, not where you would normally go. Sat out in the arena courtyard and enoyed it. Not sure we would have enjoyed in the main restaurant as it's auite dark and has music in the loud side, which fits with their genre. The Easter Brunch was amazing with a vast selection for even the pickiest eater. We want to make this a new family tradition. I had a great meal with friends and family, but for 4 hamburger and fries with one drink a piece. I think $100. is costly! Everyone loves this restaurant but not a place for an average person on a budget to go. I think its overpriced. We went to Made in Detroit for opening day for the Tigers! Overall the experience was great! We were sat right away and our server was fantastic even though they were extremely busy. Food was amazing and there was a lot of excitement in the air. Will definitely be going back! Kristen you are amazing!! Thank you so much for the awesome lunch today! Loved our food and even more so, our SERVICE! Our girls just loved you, the music in the restaurant, that you kept checking on them, and the little cookies for dessert. You are an amazing manager and we were thankful to have met you today. Will definitely be back! It was very disappointing that we were told the only reservation we could make was for 3:00 pm. We were there are 3:00 pm and were very aware that we could have easily made a reservation for at least 4:30 and still be fine. The restaurant was basically empty until 4:30. Service was inpeccable but the food was not up to par. 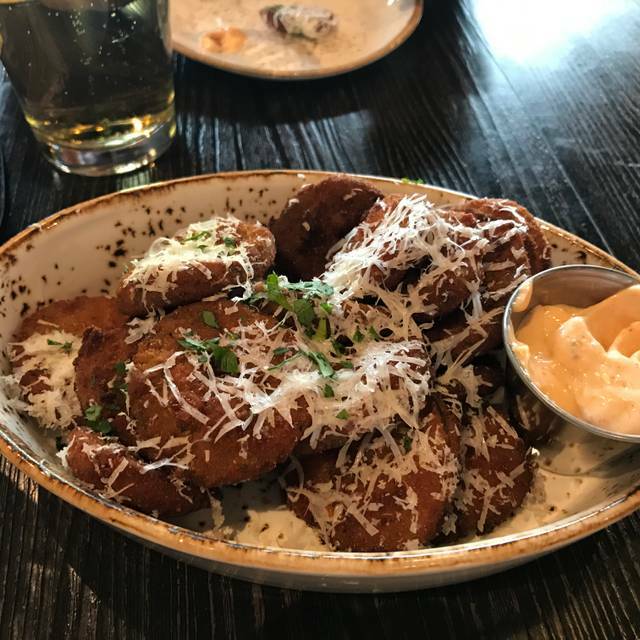 We started with fried pickles that came out burnt. Then at our table we had two meals that included burgers and fries. Burgers were undercooked and fries were over seasoned. We had two guests that ordered Mac and cheese with chicken, it looked nothing like the pictures, only a few pieces of chicken and the flavor of the Mac and cheese was not a good blend. Then the last meal was the Reuben, came out immediately with mushy bread and the cheese wasn’t melted, cold sandwich. We wanted dessert, so we ordered the chocolate chip cookies and they came out burnt. It was extremely expensive, for all 5 meals, two appetizers, one dessert and one alcohol beverage it was approx. $180.00. Never going back! Server was friendly. Our waitress was Autumn. I would ask for another waitress if you get stuck with her. She had a bad attitude during out visit, cut my friend off while he was ordering and just went right to the next person. She just acted very uninterested in even being there. Food was ok. Fried chicken was decent but couldve got a box of banquet chicken and been pretty much the same. House pickles were like a sweet, spicy, very thin sliced pickle. Slaw was very bland. I would go again and try something different, but I expected better from this place. It was my birthday and the Michael Bublé concert. We noticed that our table was leaking. Water was dripping on the floor. Nothing was done about it after I told the server. The couple next to us noticed it too. Wine could’ve been poured in glasses not plastic cups. Server was nice and the food was good but she didn’t mention my birthday which I mentioned when I made the reservations. Amazing service, food and drinks. Very accommodating. Made going to the concert a breeze. Security into the restaurant was very thorough, too much so. I appreciate the screener doing his job but it left patrons waiting outside in the cold for far longer than necessary. Once inside, our reservations were met promptly and waitress, autumn, outstanding. She took care of our hunger and beverage needs timely. Went to Made in Detroit before a concert on a Friday night. We walked in a few hours prior to the concert & had a reservation so we were seated right away. I appreciated that they scanned our tickets when we got in so once the venue opened, we could walk right from the restaurant to our seats. The cocktails were small & served in plastic cups so while the price was high it was nice that we could take our drinks with us to watch the concert. We had the fried pickles, the meatballs, and the shrimp & grits with gumbo. All were very good and arrived quickly & hot. Since we were there before a concert I really appreciated that we weren't rushed especially as the entrance way began to fill up with people waiting to be seated. Overall, I would recommend it. The alcohol beverages are way too small for the prices. The flavor is good. The food, amazing, very well seasoned: Cauliflower, Chicken & Waffles, traditional wings, and the fries!!! Parking is a nightmare to get to this restaurant! Then you have to go through metal detector and a business partner had gotten turned away with a pocket knife on his keys. The guard did not even allow him to place it anywhere while he ate. Food was ok at best, would not recomend to anyone. They obviously care more about quantity than quality. We showed up for our reservation and everything was put away and nobody was there. A manager came to the door when we were knocking and said "We are closed." We tried to explain that we had made a reservation, but he did not seem to care. We had walked a good distance from our car to the restaurant in the snow, so we did not appreciate the fact that we were not able to eat there, despite having a reservation confirmed for that time. They need to have someone check to make sure people are unable to make reservations during times they close early. Made reservation because was at LCA for an event. Security check point person was gruff and rude. Time from seated to placing order was acceptable. At that time, we were told it would be 40 minutes until food arrived which would be tight before the show but manageable. However, 55 minutes later, no food. Then 3 of 7 meals came out. Then 3 more. My meal did not get served until 10 minutes later. In the meantime a random appetizer was offered. We requested checks so we could pay and not miss show. Orders on the checks were mixed up. Waitress said that restaurant was unprepared as LCA does not inform them of events. What! If you are running a restaurant then it is your responsibility to ask LCA about event schedule so you can adequately staff your restaurant. Will not eat there again. The only problem we had was that I needed to drop off a family member who uses a cane and can't walk long distances. There was not "in front" of restaurant drop off as snow was blocking the only entrance. She had to walk in snow to the corner which had her hurting and out of breath. That corner was packed with Uber and Lyft drivers who were rude as I was not moving any further and had to wait for her to make it to the car. I know this is a facility concern and not your establishment but it did make a great experience turn sour on the drive home. Everything was great. The food was delicious and the service wonderful. We also ate there for lunch plus the dinner meal. Drink prices were over the top, especially for drinks served in small plastic cups. Decent food but expensive! Our server was very nice and attentive. The food was just bad. 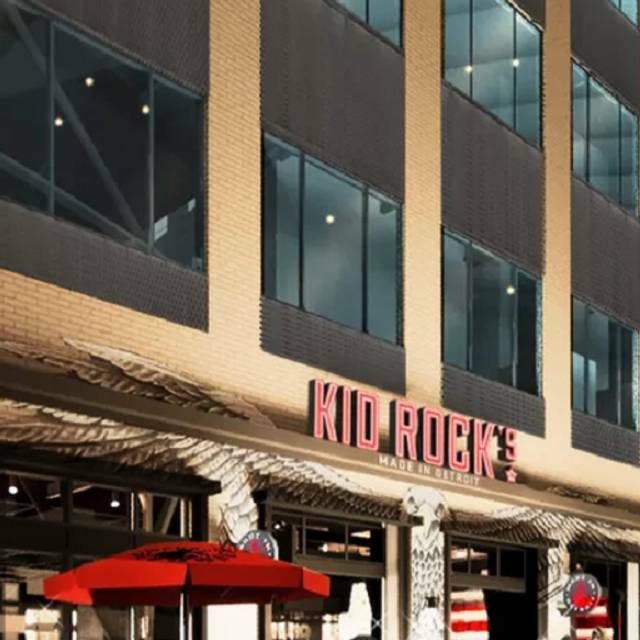 2 people got the kid rock burger and it tasted bland, burnt, and like it was just a frozen patty. Very disappointing. I got the steak sandwich, nothing special, over cooked. The only thing I can say I enjoyed were the fries. Everything was incredibly overpriced, although understandable because of it being located in the Little Caesar’s Arena. And the name of Kid Rock in its name. But $5 for a small cup of pop is stupid. 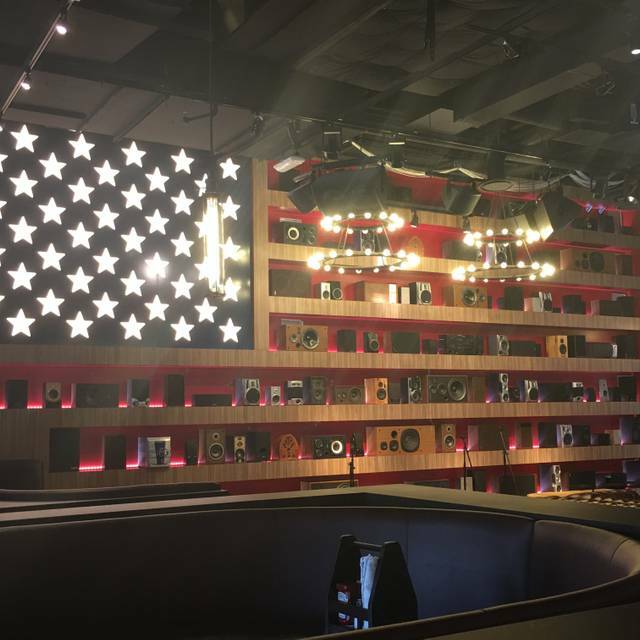 Tried this place and will not be returning! The food and Bloody Mary bar was excellent! 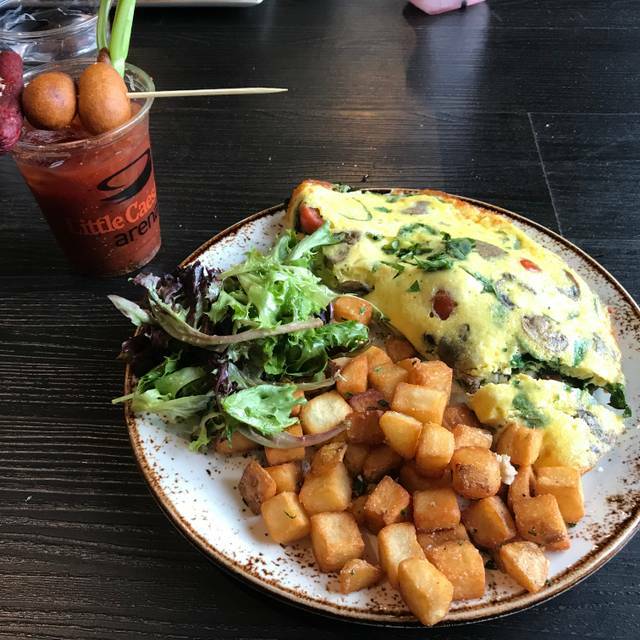 Absolutely loved the Eastern Market Omelet and their potatoes are out of this world! Great cooking! The service was great and the food was excellent. We happened to be there on a night with no game or concert so it was nice and quiet. I'd definitely recommend it and I will be going back. Service was terribly slow. Food was mediocre. Very expensive for barfare. Outstanding restaurant. Service was great food was really good and staff was very friendly. It was worth the drive from Brighton to have Brunch there before the Lion game. We made a reservation for brunch and they were closed. Great service and the Kid Rock burger was delicious! Horrible food and even worse service. Gave away our reservation and we had to sit on the “patio” as a result. Drinks are expensive and tiny. Boo. Went here before a concert. Had made a reservation on OpenTable so no wait. Great beer selection and mixed drinks. Service was quick, pleasant and got our appetizers and meal as ordered. My ribeye was excellent. Loved the Bloody Mary bar which has many choices to add to your beverage. Sandwiches were large & salads were large with plenty of the ingredients as listed on the menu. Server was a little "nervous" with our party of 10. Not as much memorabilia as I would have thought from Kid Rock. Solid experience. Makoyia was excellent, attentive but not interested. Burnt ends recommended. The salads are sharable. 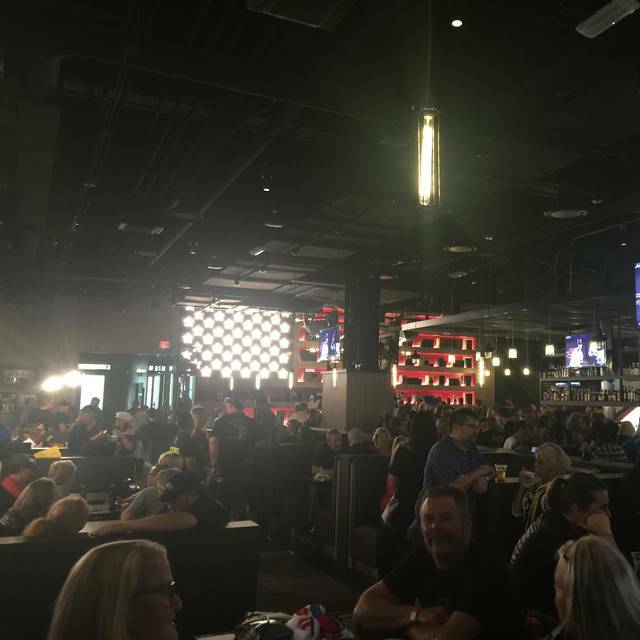 Great open space restaurant/bar at LCA. We were there on a non-event night so it wasn't crowded or overly noisy. My ribeye steak was well prepared. My partner had the country fried chicken which he said was moist and tender. really diverse and interesting menu. Comfort food but healthy options and out of the ordinary preparations. Just house wines but some really good beer selections and some creative drink selections. We went here before the Bruno Mars concert for the first time and we LOVED it! Downhome cooking and loved the cozy feeling and MUSIC they were playing while we were there.